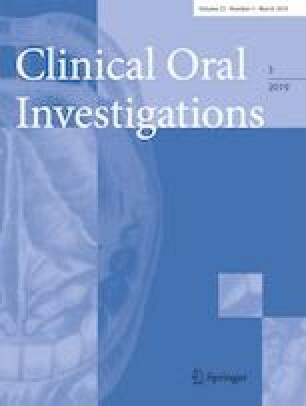 A critical and uniform assessment of mucosal scarring following oral surgery is needed to refine surgical decision-making. For that purpose, the Mucosal Scarring Index (MSI) was developed. The MSI is a composite index based on five parameters: width, height/contour, color, suture marks, and overall appearance. Each parameter is assessed with a 0–1–2 score, yielding a MSI score ranging from 0 (no scar) to 10 (most extreme scar). Five periodontists, 5 prosthodontists, and 5 orthodontists assessed scarring using the new index on the basis of 30 clinical photographs of post-surgical sites. Cases had been carefully selected making sure that the complete spectrum of the index would be represented in the analysis. Duplicate evaluation was performed with a 2-h interval and in random order of cases. On a total of 450 assessments, the mean MSI amounted to 4.91 (SD 3.087) with no significant differences between scores given by periodontists (mean 4.65; SD 3.054), orthodontists (mean 5.04; SD 3.301), or prosthodontists (mean 4.81; SD 2.842) (p = 0.548). The MSI appeared a highly reliable index given excellent inter- as well as intra-examiner agreement (ICC > 0.9; p < 0.001). Clinicians agreed most on ‘overall appearance’ (kappa = 0.582; p < 0.001) and least on ‘suture marks’ (kappa = 0.352; p < 0.001). The MSI is an effective, easy-to-use, and reliable composite index to assess mucosal scarring following oral surgical procedures. The MSI can be used as an adjunct to other indices in the esthetic evaluation of oral surgical procedures. Retief Wessels and Sam De Roose contributed equally to this work. The authors wish to thank all participating clinicians for their valuable contribution. The authors would like to report on a collaboration agreement between Nobel Biocare, Belgium, and Prof. dr. Jan Cosyn. Author A declares that he has no conflict of interest. Author B declares that he has no conflict of interest. Author C declares that he has no conflict of interest. Author D declares that he has no conflict of interest. Author E declares that he has no conflict of interest. Author F declares that he has no conflict of interest. Author G (Prof. Dr. Jan Cosyn) would like to report on a collaboration agreement between Nobel Biocare, Belgium, and himself.